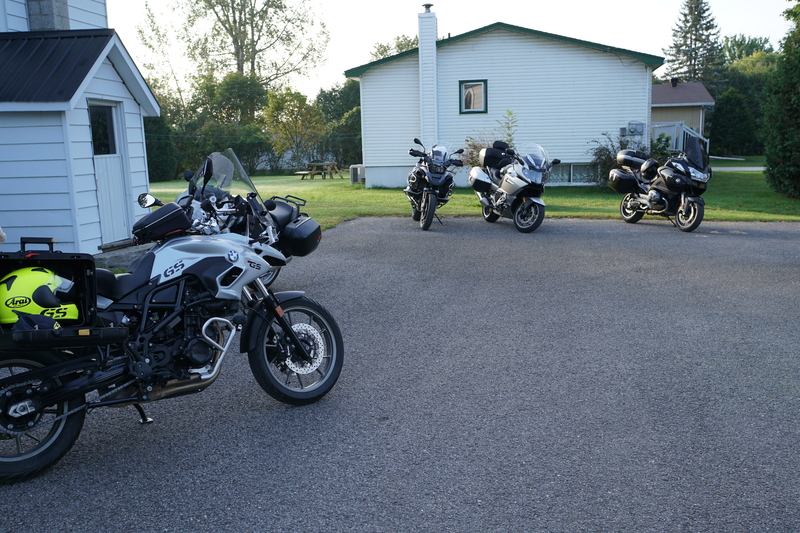 Je me souviens… Thank you BMW Ottawa Club! 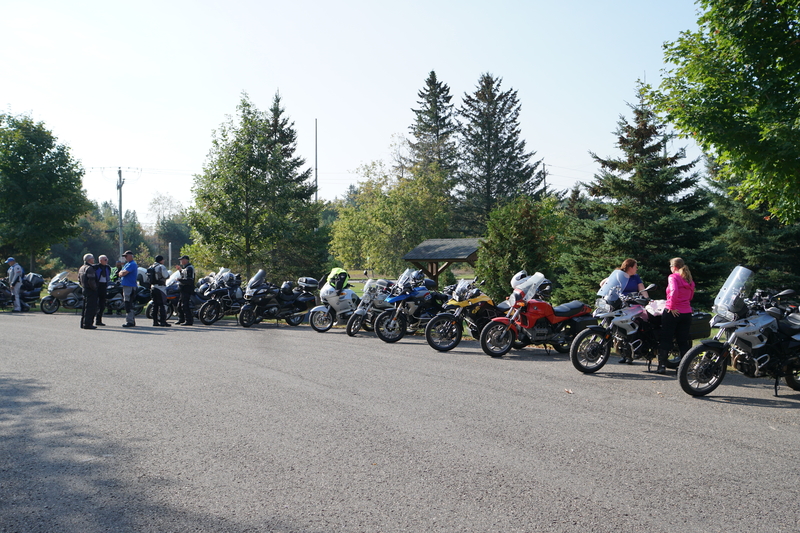 Last week when we were experiencing the unusually warm sunny weather at the end of September the BMW Club of Ottawa organized a fall ride up to Mount Tremblant. I grew up south of there in a small town called Two Mountains. As a kid we would picnic up in lachute, Mount Tremblant and Morin Heights. But since I was escorted out of the province by the L’Office québécois de la langue française in the year 2000 I had not returned to Quebec other than to visit my parents-in-law down town Montreal. Furthermore, I had not travelled north since the 1980s when I was a young man camping in a VW Beetle. 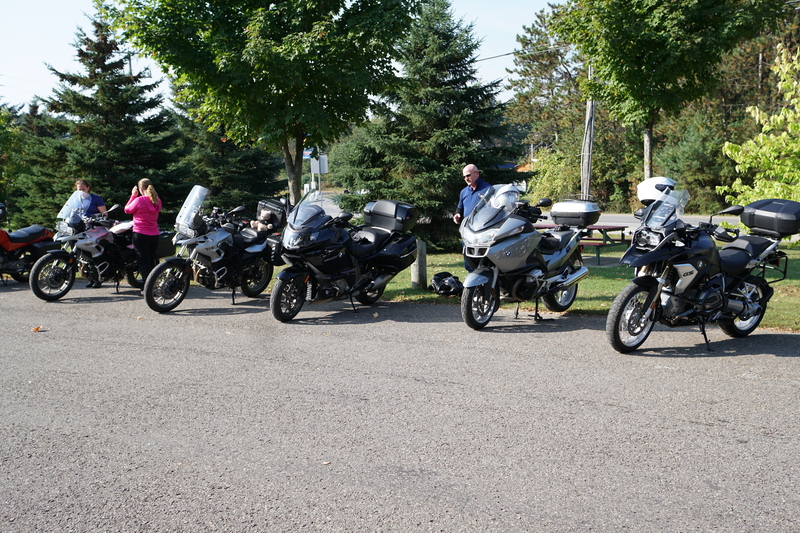 So when the BMW Club of Ottawa sent me the Garmin file for the ride I looked at Chantal and said, “hell Ya”. We left at 7:30 from our home in Russell and returned home at 5:00. 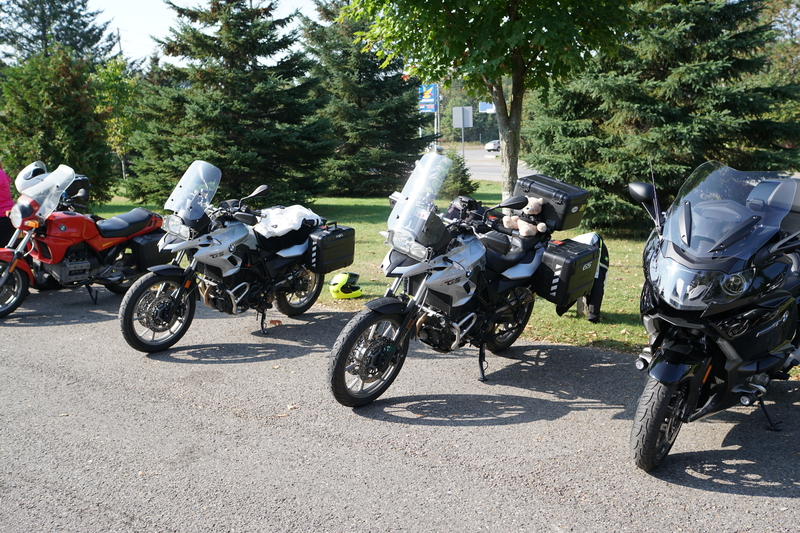 Other than a 1 1/2 hour lunch break in the heart of Mont Tremblant, we were riding all day. Curvy hilly roads leading from Lachute up to Mont Tremblant. Some curves were 180 degrees to 360 degrees whereby you would be heading exactly back to the direction you came for a bit until yet another 180 to 360 degree turn would occur. 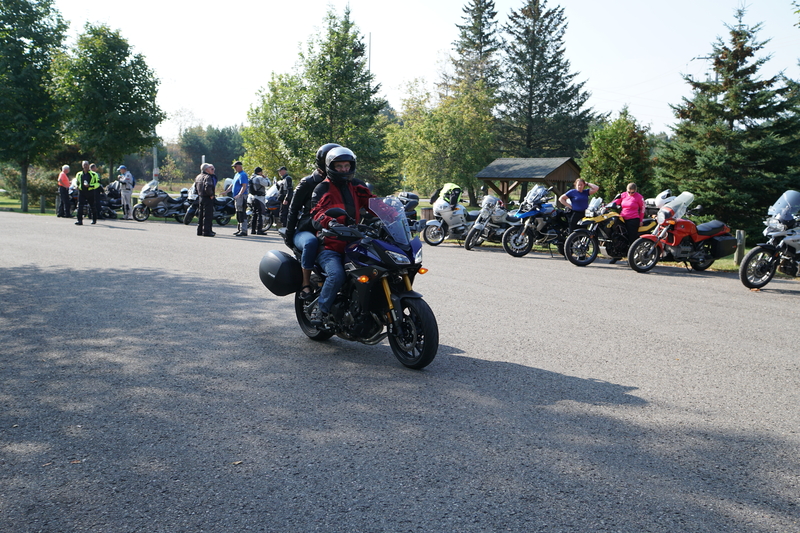 So yes, the riding was excellent and again, I thank the BMW Club in Ottawa for organizing such an amazing ride. 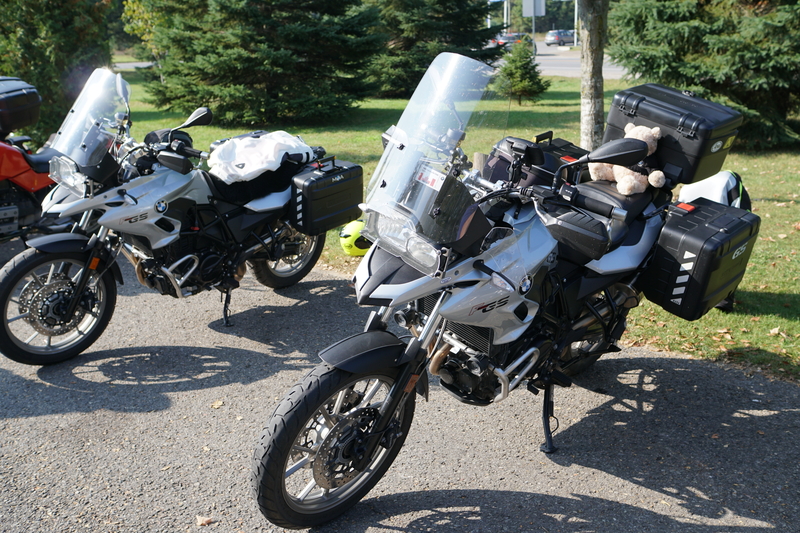 But the true joy of this ride was seeing again all of the beauty that Quebec has to offer. The leaves had started change color so the scenery was exceptionally beautiful. Unfortunately we did not stop any where to take a picture so those shots are etched in my head and not digital. The hills, the mountains and the many cute little villages nestled by tiny lakes was just Quebec! Yes everything was in French and no it no longer bothers me. Often I would wonder the meaning of their license plate that says “Je me souviens” or in English “I remember”. Wikipedia says that it means “”We do not forget, and will never forget, our ancient lineage, traditions and memories of all the past”. However it suddenly had a new meaning to me. I remember! Driving through Lachute I remembered the LOWES Ice Cream plant where as a child we would drive up and get fresh made ice cream. I noticed an ice cream store named LOWES but the plant is now Agrapur. What a change from the last time I was there. I guess they sold out to big dairy in 1983. Many things had changed. New homes surrounding the lakes, main streets built up with fine dining and to my surprise Mont Tremblant has an airport whereby you can fly there from New York. So as I was riding and watching the Quebec License plates with the saying “Je me souviens”, the saying suddenly took on another meaning to me. I do remember! I remember my Grandfather, Grandmother, Great Aunts and Uncles and my cousins who grew up with me in Two Mountains and St. Eustache. I remember all the trips (or most of them) up north for camping, picnics or just a Sunday drive. Do you remember Sunday Drives? We never do that anymore. Probably best for the environment but in the day my family would pack up in the car and just drive to see scenery. I remember the beauty that Quebec has to offer. 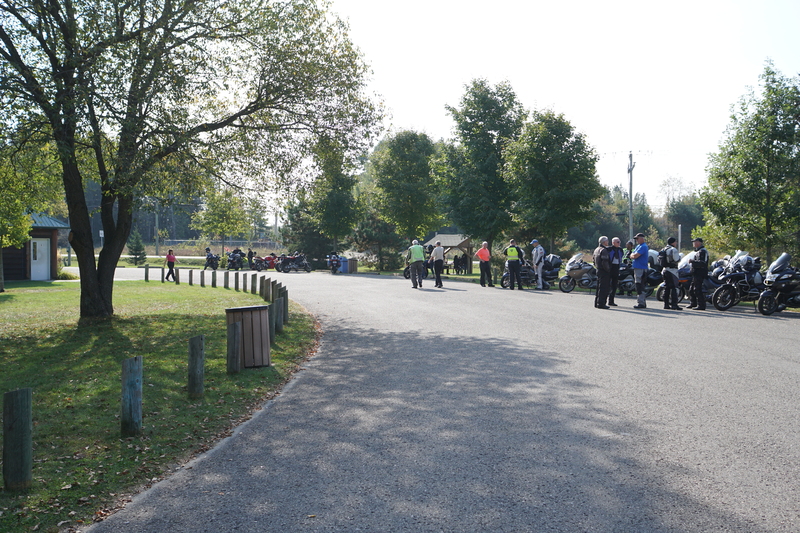 I took a few pictures of a pit stop on the way and where we met at the beginning of the ride. Very nice post Peter. I remember as well. Things are interesting here. Lots of developments, lots to think about, a number of videos in the works. I’ll be seeking some advice in the coming weeks. Nothing is urgent. Nothing earth shaking.